Just who is the best middleweight in the world today? 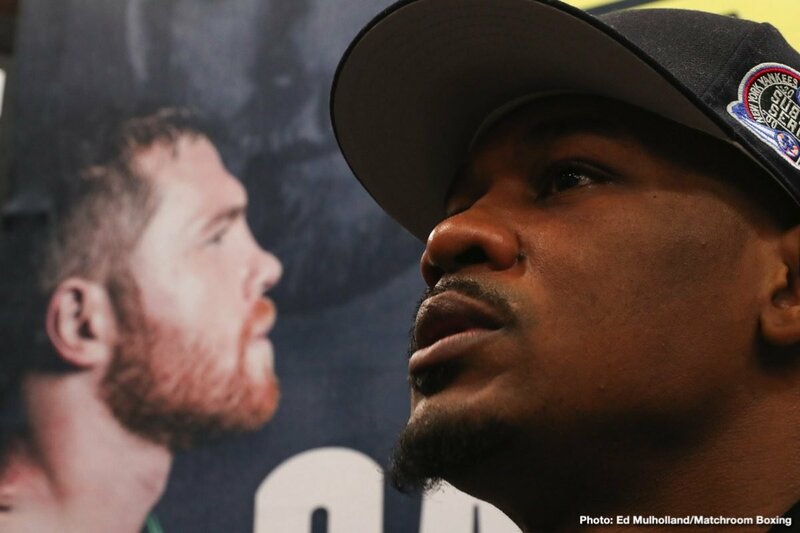 If you listen to a super-confident Danny Jacobs, who is about to ramp up his training for his big May 4 challenge of world champ Canelo Alvarez, “The Miracle Man” himself is the best. Speaking with the media yesterday, ostensibly to hype the May 4 showdown, Jacobs got to talking about another big-name middleweight: Gennady Golovkin. The sole common opponent of Jacobs and Canelo, Golovkin, due to return to action this June, twice defeated Canelo yet was denied the decision of the judges, so says Jacobs. Speaking more about GGG, Jacobs says he was the victim of a controversial decision himself and that he should have been declared a winner the night he fought Triple-G. So going by Jacobs’ logic, if he beats Canelo next month, he will absolutely have to be recognised as the best at 160 pounds. Jacobs says that after he beats Canelo, as he is confident of doing, he wants a return go with Golovkin but, the reigning IBF champ stated, he doesn’t think GGG or his team are eager to fight him a second time. In an ideal world, whoever wins on May 4, be it Canelo or Jacobs, he would then go into a big fight with Golovkin – a third fight with the former champ if it’s Canelo, or a second fight with the 37 year old if it’s Jacobs. But we do not live in an ideal world (and boxing fans perhaps know this better than anyone). Canelo has said he will only fight GGG this year if Golovkin picks up a world title, while Jacobs says GGG is none too keen on fighting him a second time. If both men are telling the truth, where will Golovkin go once he’s returned to the ring this summer? It’s more than a little frustrating and if, as many fans expect, Canelo wins but only via a close, perhaps debatable decision on May 4, we will STILL be asking the question, who is the world’s best middleweight? A fan could make a convincing argument Jacobs is the best, another could insist with great credibility that GGG is No.1, while another fan could scream how Canelo is the best at the weight. If it is close on the cards on May 4, these arguments will only get fiercer.